Previous PUBG Mobile Zombie Mode Launch Date Confirmed. Next PUBG on Samsung Galaxy M20 – Gaming Review & Heat Test!! Apex Legends, the Battle Royale game which blew apart the entire gaming community with its amazing pacey gameplay and the amount of hype and response it received in such a short period of time. 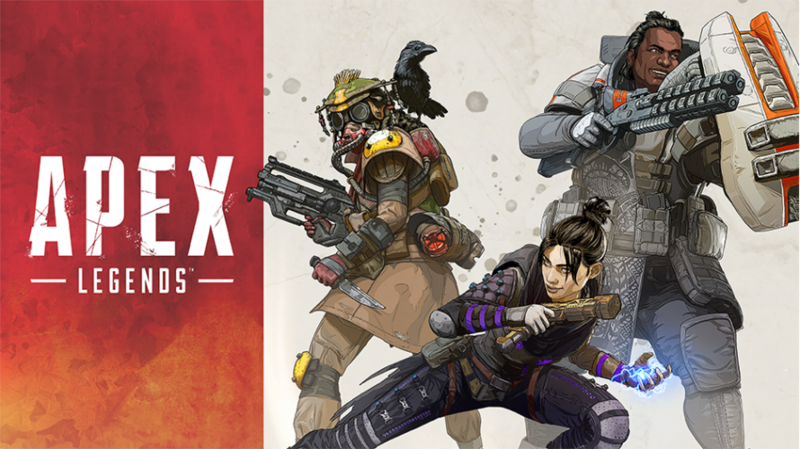 Respawn, the brains behind Apex Legends along with EA Origins launched a free-to-play BR game to compete against the likes of industry giants such as Fortnite and PUBG. Recently, the game received over 25 Million active users within just one week of release, which according to me is just insane. Since it has only been a week after the launch, the game has received a lot of good response and other stuff. The game runs smoothly but there were some minor bugs and glitches to be fixed which was addressed by the developers in an update launched today, In fact just about 30 mins ago as of writing this article. Apex Legends gamers on PC, PS4 and Xbox One will receive a new update which will bring along some bug fixes. The developers are focusing more on stabilizing the game entirely not only the gameplay department but also the overall UI. Some of the players have been experiencing mid-game crashes and lag issues and the company will be fixing all of those in this update. Respawn Community Manager, Jay Frechette in a post online mentioned that, “We’ve been pouring over tons of data coming in from the game, as well as listening to feedback across the wide ocean of Internet. “Our main focus right now is stability and quality of life but in the near future we’ll be talking more about the potential updates to the meta”. Apex Legends official Twitter handle today, tweeted about the update being pushed across all the platforms and you can find the patch notes here. As most of you are aware, tomorrow is 14th February or commonly known as Valentine’s Day, the game is embracing that and pushing out skins and a ‘Live Die Live’ Banner badge which you can get by reviving a teammate in this limited time event. Addressed a number of bugs with the map like holes you could fall through and areas that players could get stuck in plus a bunch of other polish issues.